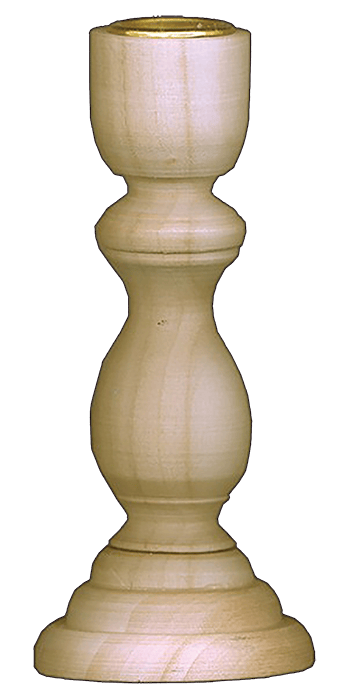 Unfinished poplar wood candlestick can be finished with paint, markers, etc. Not intended for use with candles; includes metal insert to hold the candle. Because these candle sticks are made of wood they are not intended for use with burning candles. Size: 4.75" high x 2.375"